Hi, I'm Aimee Richards AKA MIss Bespoke Papercuts. 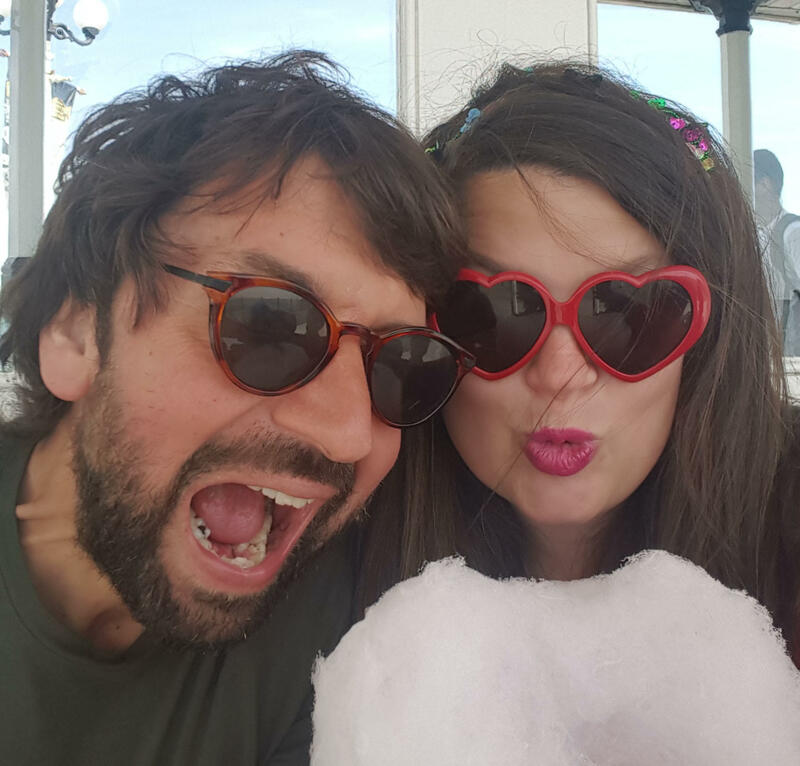 I am a papercut illustrator, artist, blogger, former recovering lingerie designer, Mum of 3 boys, and wife of Dan. My style is typically British-quirky and romantic with humorous tendencies. I enjoy a good story, and stories are always the founding element in my designs-I want to make my customers laugh, cry with joy and fall in love. There are three branches to my business; my bespoke paper cut illustrations, my workshops and my bright and bold watercolour illustrations which I develop into greetings cards and prints. I set up my business in September 2014 when I was on maternity leave with my second child. Paper cutting became a way to balance to my creativeness with mindfulness and I have a long loving relationship with my pencil, watercolours and scalpel. I can draw pretty much anything and I initially began selling custom work on Etsy and Facebook. I relentlessly practised my skill every night and constantly developed products tailored to the demands of my customers. 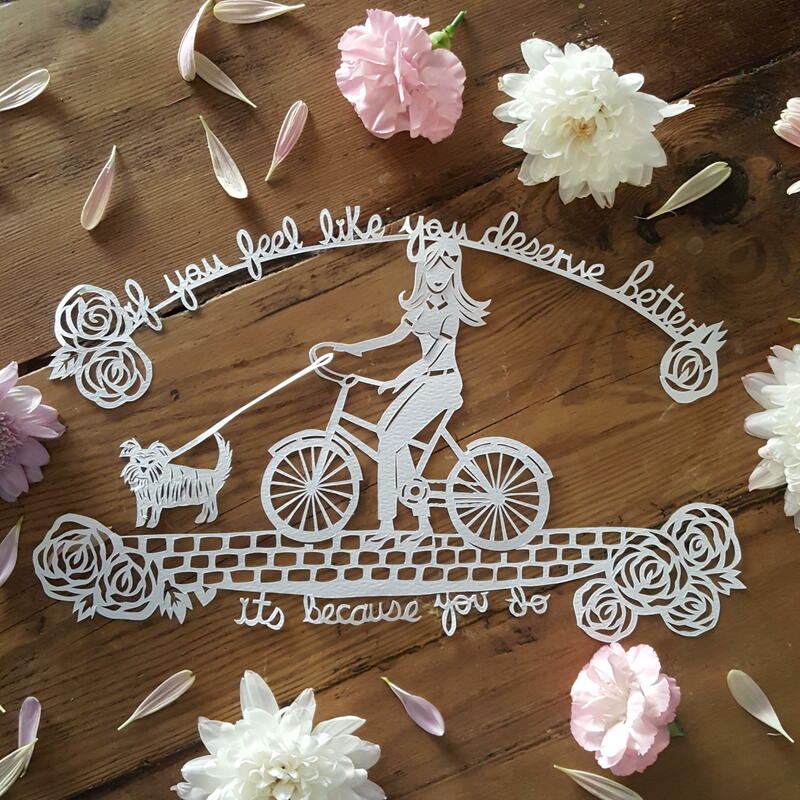 My custom paper cut products-which are hand drawn and hand cut - are stories I tell with my scalpel and it for this reason my paper cut love hearts, wedding pieces, custom houses and cities, are the most popular thing I sell. From this, I have also developed a range of paper cut products that are partially die cut and then developed by hand, as my text is my own handwriting and cannot be replicated digitally. 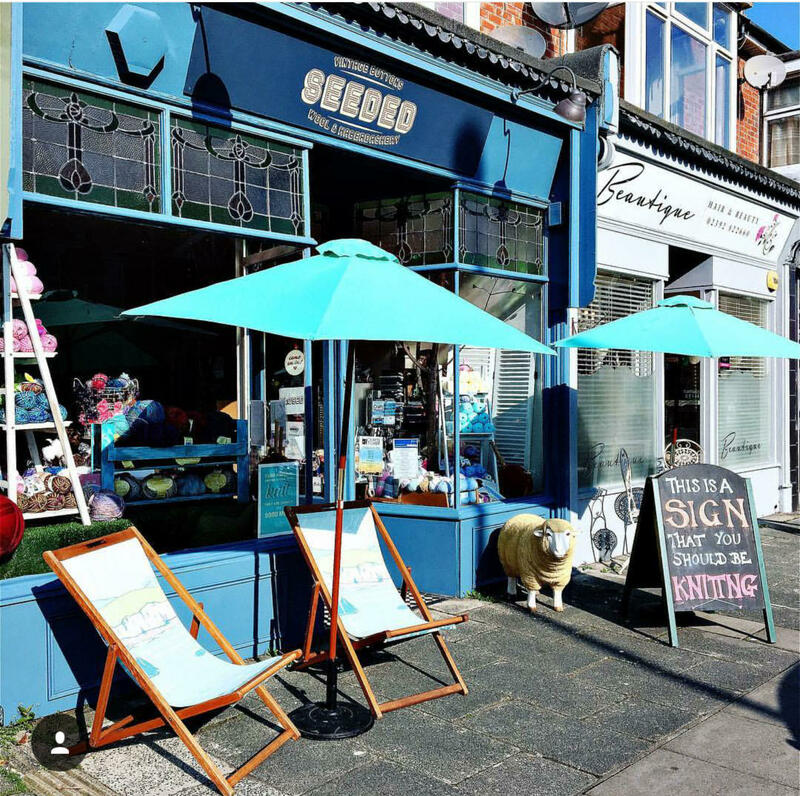 I also teach monthly beginners and advanced papercutting workshops at a wool and vintage button emporium called Seeded in Southsea, and a flowers and homeware shop called Wattle and Daub in Godalming. I immensely enjoy running workshops, mainly because it is one of the only times I get to talk to other adults in my day job. Its great to meet a variety of people, from stay at home mums and social workers to hen parties, and craft away with tea and cake in a relaxed and cosy environment. I theme my workshops so that they are never the same and my aim is to make my workshoppers fall in love with my craft, so a kit to take home is included in them too. To find out more about my workshops, please visit here. The third branch to my business is my range of watercolour painted and paper cut text prints and greetings cards. Heavily inspired by trends and influenced by the lingerie designer in me, these pieces are where I see the future of my business moving towards as I branch out into wholesale. Collaborations are important to my clients and I, as they form the basis of any of my custom artworks so communication is vital to create and achieve the final piece. I believe in great customer service from start to finish and I like to hear feedback. If you are interested in a personal commission or a commercial collaboration please do get in touch.